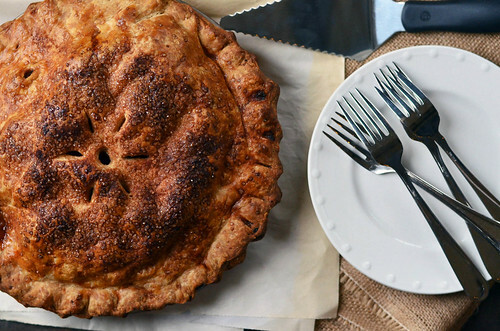 Apples, quintessential fall food, right? Sure they are great year round, but fall…fall is when they are at their peak. 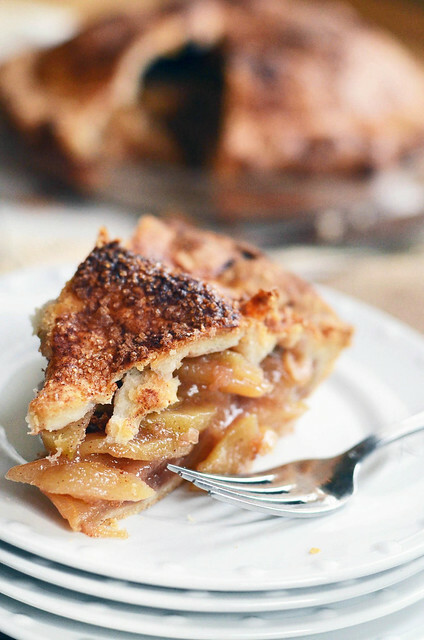 During my childhood, fall was always filled with apple desserts….not pumpkin. Apples. Apples were always in abundance because mom and grandma would take us apple picking. A small orchard (and in all reality I haven’t a clue to the real size of the place…I was young, but telling you it was small makes sense for some reason) anywho….we would pick apples by the bushel and when we were done, a tractor pulling a flatbed trailer would sweep by and pick us up. This was my favorite part. A tractor ride. And would still be today…swear, you just can’t take the country/child out of this girl. 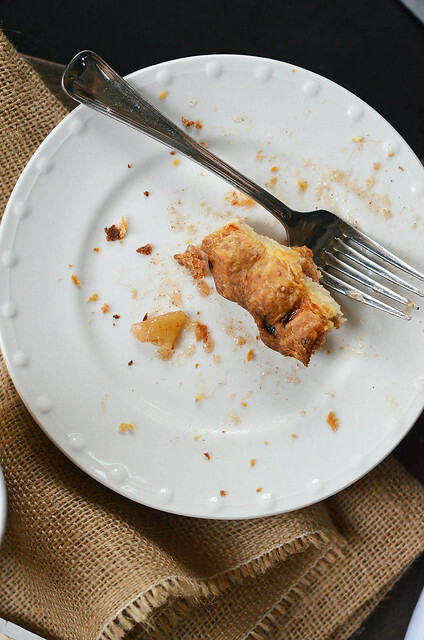 Apple pie, crisp, applesauce, stewed apples, apple dumplings…this is what my fall tasted like. I went through a long stretch of falls where apple picking didn’t happen…you know high school where it wasn’t really cool to be picking apples with your grandma…but it totally should have been…Dear teenager self…go pick apples with grandma. She will enjoy it, as will you. Thankfully in college…I started it back up again, this time with friends and roommates. We would traipse out into a local orchard, in old jeans and hoodies, cups of coffee and warm apple cider, and empty bushels. We would pick way too many apples…eating more than intended, climbing higher than advised, and looking forward to the apple crisp and pies that would be made. I haven’t been apple picking since college. It currently is on my fall bucket list…But until I can make my way to an orchard, I depend on the grocery/farmer markets. 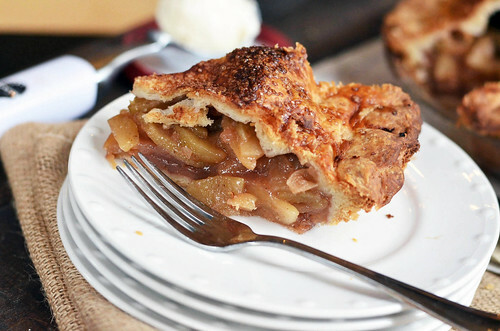 Which I am thankful for, because last week, I needed apple pie. Or wanted. Such a thin line I walk. I spent the entire weekend stealing sweet cinnamony apple slices from the depths of a flaky pie crust with each sweep through the kitchen. Boy do I love pie. Roll out bottom pie crust and fit (do not stretch) into 9 inch pie plate, leaving edges hanging over and place in freezer until ready to use. In a large bowl, combine apple slices, corn starch, brown sugar, white sugar, cinnamon, and the juice of 1 lemon. Toss to combine. Pour filling into bottom pie crust. 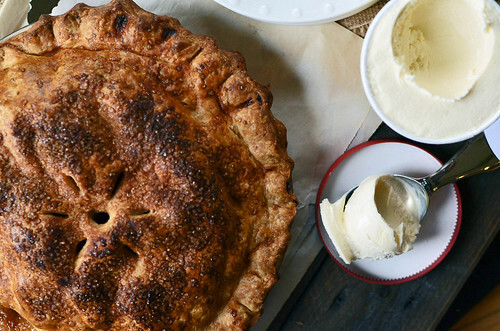 Roll out top crust and lay over apple filling. Crimp edges together using either a fork or pinching with thumb and pointer fingers. Brush top with lightly beaten egg and sprinkle with 1 tablespoon of sugar and a pinch of cinnamon. Cut small slits in top of crust to let steam escape. Bake in preheated oven for 45 to 60 minutes until crust is golden brown and the juices are bubbly. Remove from oven and let cool. Serve warm with vanilla ice cream.